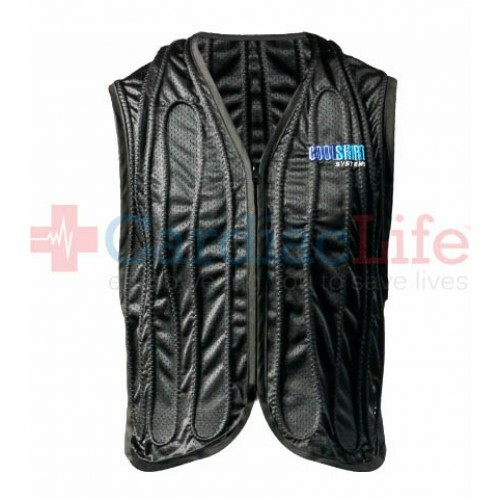 When a constant connection isn't a possibility, the Active Aqua Vests can be worn and then plugged into cooling system as needed. 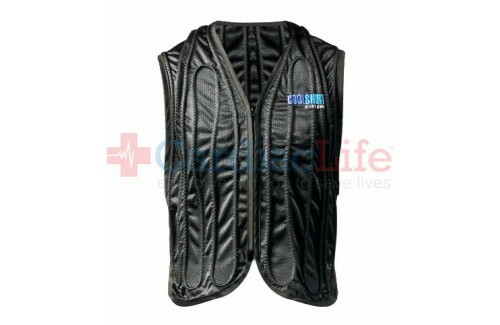 They circulate cold water through 50 ft. of medical grade capillary tubing securely stitched to the front and back of the vests allowing water to circulate throughout for fast, effective core body cooling. Spring-loaded connectors easily attach the vests' tubing to a portable or stationary cooling system. For use with the Firefighter Rehab System and compatible with any COOLSHIRT cooling system. The Firefighter Rehab System meets NFPA 1584 cooling standard for active cooling and rehab.